New Years Eve Movies for the Family! with "New Years Eve" Scenes! 10--9--8--7--6--5--4--3--2--1-- HAPPY NEW YEAR!!! God's Blessings to You All! Wonderful Ratings for "It's a Wonderful Life"
According to our Source: Nielsen Media Research, "It's a Wonderful Life" had 5.62 million viewers and was #1 among adult viewers age 18-49 on December 24, 2012. This was it's most-watched airing since 2005! How they figure such facts is baffling; however, I certainly know our family was gathered around watching "It's a Wonderful Life" that evening, too! It has become an annual Christmas Eve Tradition in our home and it's fun to think we were joined in watching it with more than 5 million viewers! By any chance, were you one of them? 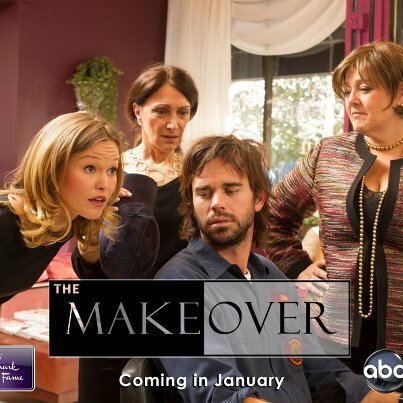 Hallmark Hall of Fame DVD "The Makeover"
Starring Julia Stiles and David Walton. Hannah Higgins (Julia Stiles) is a smart, driven education consultant. She's so driven she runs for Congress to advance the cause of education reform. Hannah's a disaster of a candidate, though—her cold, elitist persona alienates Boston voters big-time. Hannah and her business partner, Colleen Pickering (Camryn Manheim), don't give up easily. Next time 'round, they recruit a candidate who definitely is a people person. 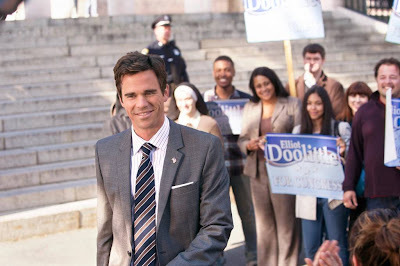 Elliot Doolittle (David Walton) describes himself rather grandly as a "beer vendor." Translation: he drives a truck and keeps Boston's watering holes well supplied with the frothy stuff. Elliot—whose thick South Boston accent masks his intelligence—is a diamond-in-the-rough. He's the opposite of prim-and-proper Hannah Higgins, but his total lack of pretension and his obvious people skills allow him to connect instantly with anybody and everybody. Hannah takes Elliot on as a "project." If she can just teach him to speak like a gentleman, dress like a gentleman, comport himself like a gentleman…why, he might become a gentleman—a gentleman who can run for Congress and win, and then help promote the cause that Hannah holds dear. Elliot and Hannah are about as oil-and-water as any two people can be. But, as Elliot becomes more "presentable" and Hannah becomes a little less high-falutin', could this be a match made—maybe not in Heaven, but—in Boston? The Makeover was a do-over of the movie My Fair Lady with some role reversals. My Fair Lady stars Audrey Hepburn as Eliza Dolittle, but this time around it was actor David Walton as Elliott Dolittle. 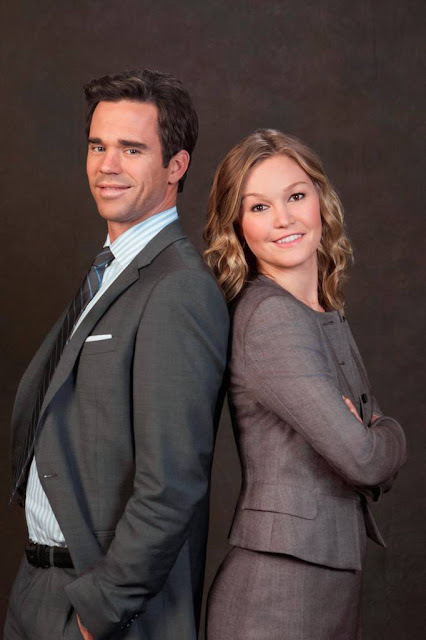 Henry Higgins became Hannah Higgins (Julia Stiles) this time around and even Colonel Pickering was updated to a female role of Colleen Pickering (Cameron Manheim). The Makeover used the same “My Fair Lady” format of transforming someone from the lower class of society to a higher class. On the night that Hannah Higgins looses her bid for Congress, she meets beer vendor Elliott Dolittle and proceeds to belittle him and his improper speech and Boston accent. In spite of that, he humbles himself and comes to her days later seeking her help with improving his speech so he can get a better job through his company. Hannah again belittles him and turns him away... but as she watches him outside the window and sees how he easily interacts with the people of the community – Hannah develops the idea of giving Elliott a Makeover, teaching him how to properly speak, and run his campaign for Congress. Is the movie a little far-fetched? Yes. Elliott’s character grows and changes so drastically in appearance and behavior, while Hannah remains mainly just as professional and stiff, as she started. It’s obvious she sees herself as being superior to Elliott and his rough around the edges Sister and money-grubbing Mother – who Hannah tries to pay off. In the end, Elliott loses his race for Congress, and Hannah goes into a tirade - privately joking with Colleen as to how they can rid themselves of Elliott. Again, she puts him and where he comes from down. This scene revealed to me Hannah’s true superior character and I found no redeeming changing qualities in her throughout the movie. Elliott is way too giving and even forgives her. I personally didn’t see the chemistry between their characters – though they do kiss at the end. To me, too much time was given on failing campaigns instead of developing their characters more fully. All in all... it is a decent movie with no violence, one kiss, and no language, that I recall. To me... it was one of those movies that leaves no lasting impression, except that it copies another classic beloved film, My Fair Lady, which can never be replaced. In the end, I do suppose... love conquers all. See, if you enjoy seeing all of the Hallmark Hall of Fame Movies. Christmas Movies continue on the Hallmark Channel! I hope you all had a very "Merry Christmas"! While I enjoyed all the nice gifts that "Santa" brought... the very best gift is to be surrounded by those you love - and by that measure, I was truly blessed! Another unexpected gift was a White Christmas... "just like the ones I used to know"!!! Every year I always hope for a small dusting or light snowfall here in the mid-west, and this year we had a lovely snowy landscape followed by a Blizzard into the night and early morning and day, after Christmas. Needless to say, we now have about 6 inches of snow and very tall snow-drifts! It certainly still looks and feels like Christmas! For many of you who enjoy the Christmas Movies throughout the Christmas Season as much as I do, there are still many Christmas Movies for you to enjoy on TV up until the New Year - please see the Christmas TV Schedule! 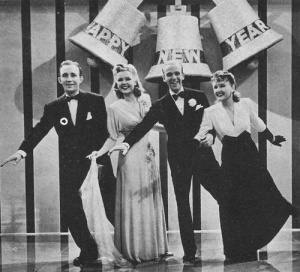 Now it's "Countdown to New Years!" Not only are you "The Heart of TV" - but you truly are "The Christmas Channel". We wish to say how grateful we are for your 12 New Christmas Movies plus more hours of Christmas Movies than any other network - especially in the afternoon and throughout the night when we had some late night Christmas Wrapping or Baking to do!! Thank you!! Thank you!! We also enjoyed catching some of the New Movies on Christmas Day with limited interruptions! It's always nice to know our family has some where to turn to for good programming and we look forward to the Hallmark Channel new movies in the coming year! and a Happy New Year ~ 2013! ~ "Wise Men still Seek Him! "~ I pray you will all have a very Blessed and Happy "Merry Christmas"! A Christmas Dog & Bunny make Two More "New" Christmas Movies! Surprise! I thought last weekend would be the very last of "New" Christmas Movies on TV... however, there will be 2 more NEW Christmas Movies being played this weekend!!! You won't find them on the Hallmark Channel or ABC Family and both Movies have two actresses who are well known from their early sitcom days. The first one is "The Dog who Saved the Holidays" starring Dean Cain, Elisa Donovan, the Voice of Joey Lawrence, and Shelley Long (Cheers). This is the 4th Movie in this series - details here. PLEASE NOTE: This will be airing on local channels: the CW and FOX. It could be scheduled differently in your area! Please, Please, Please - check your local listings to see if this movie will be on at the same time in your area! 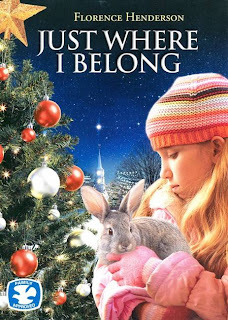 The second movie is "Just Where I Belong" or you may also know it as "The Christmas Bunny". This movie stars Florence Henderson (Brady Bunch) and this will be it's first cable premiere! *Please visit the The Dog who Saved the Holidays Page or the Just Where I Belong (The Christmas Bunny) Page for more Pictures and Plot Details! 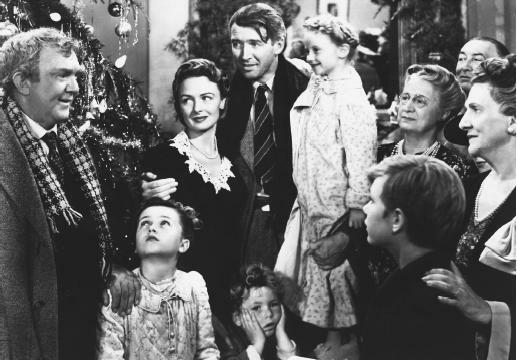 *Also See the Christmas TV Schedule for these Christmas Movies and More! I hope you all enjoy this Last Weekend before Christmas! Santa Claus is Comin' to Town!!! 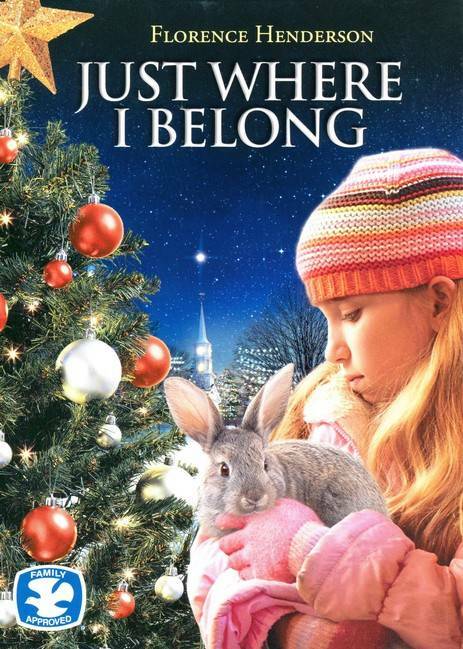 Christmas Movie : Just Where I Belong "The Christmas Bunny"
One cold Christmas Eve, a lonely foster child finds an injured rabbit in the Michigan woods. She knows there's only one person who can nurse the creature back to health---the Bunny Lady. When Julia brings the animal to the elderly woman's farmhouse, she fears it may be too late---and hopes for a Christmas miracle. The Christmas Story - Free Printable! *The Large versions should print out fine on a regular 8.5 x 11 in. Paper. Click on links above to open images. You may want to do a File - Print Preview to be sure! Another "Holiday Switch" on Lifetime! Hello Everyone! Can you believe it’s just about a week ‘til Christmas! I do hope many of you are enjoying this Christmas Season with your families. I just wanted to let you know that I have again updated the schedule with a change to the Lifetime and LMN Movies. I was personally planning to watch the Movie “Holiday Switch” today (Monday 12/17/12). It’s the movie our family affectionately calls “The Dryer Movie!” If you’ve seen it, then you know what I mean! However, after looking at the TV schedule on my TV, I discovered “Holiday Switch” wasn’t listed for today, after all. This surprised me since I just re-updated the schedule on Saturday! Sometime over the weekend - Lifetime "switched" their schedules around again! So... I just now re-checked the schedules and updated mine to correspond with these current changes. Plus, LMN has tweaked theirs a bit and added in some more Christmas Movies, too, to their listings. Please know... I have updated the Christmas TV Schedule, but I still don’t know if these movies are set in stone and I apologize for this inconvenience. By the way, if you would like still like to see “Holiday Switch” – it is currently scheduled and supposed to air on December 20th at 4 PM on LMN. Hopefully it will! If not, then it is available on DVD! INSP Presents - 12 Days of Christmas! The 12 Days of Christmas have begun on INSP! from December 14th through the 25th! Some of them are rare Christmas Classics that have not been seen this year! *See the INSP 12 Days of Chrismas Post for more Movie details! 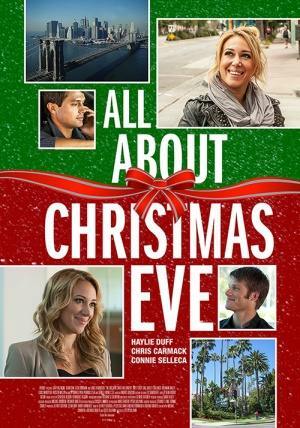 Enjoy the Last Christmas Movie Premiere Weekend! Check out 4 New Christmas Movie Premieres this weekend + the Hallmark Channel Cable Premiere of the Hallmark of Fame Movie, “Christmas with Holly”. By the way, I loved “Christmas with Holly” – very Sweet! Visit the Christmas TV Schedule to see air dates for these Movies and Much More! *Please check ratings before viewing these New Movies with your family. 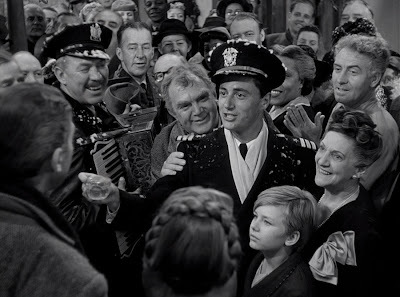 It’s fun to see these new movies, but I know many of us are still looking for our favorite classics, as well... and this weekend you can see the 1947 version of “Miracle on 34th Street”(I believe!!! ), “White Christmas” (one of my favorites... “the best things happen while you’re dancing...), and the classic 1951 Alastair Sim version of “A Christmas Carol” on TCM. However, if the Alastair Sim version is not your “Christmas Carol” favorite... then AMC has the George C. Scott and Reginald Owen versions, too! So, whether you plan to stay in the Christmas Past or Present, may you have a Wonderful Weekend! 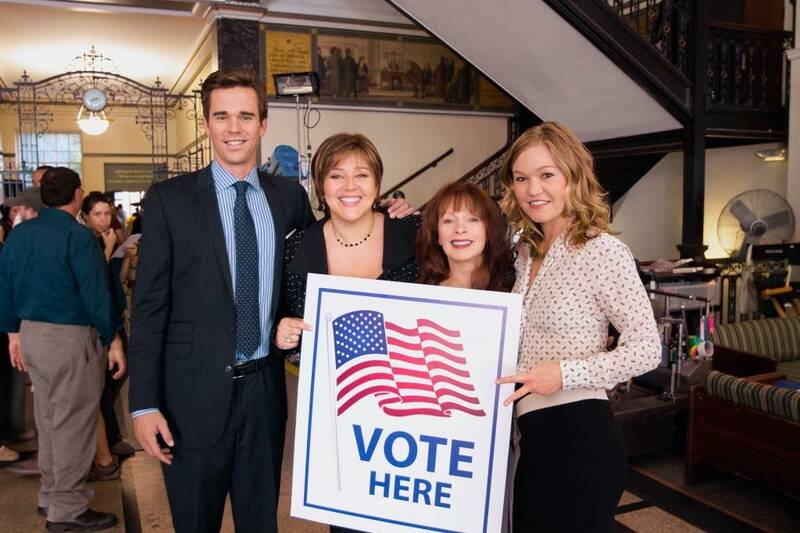 Hallmark Channel News & Updates! Hello Everyone! Hope you are all enjoying these Countdown Days until Christmas!!! All the planning and preparation can be so much fun!!! I wanted to share with you all some exciting news from the Hallmark Channel. On Christmas Day – they will be airing All 12 of their New Original Christmas Movies – Commercial Free! Please Note the time changes for these Movies in the Schedule on December 25th! The Hallmark Channel has tweaked their schedule by removing their Noon Movies from their line-up to add in more Home & Family and Marie. So you will notice I have removed the Noon Hallmark Christmas Movies from our schedule, as well – and in some cases they have changed the 2 o’clock movies, too! And, then... there’s Lifetime.... If you follow the schedule every day, you may have noticed some errors on our schedule with Lifetime. Well, please know I am doing my best to report to you accurate information and I was given some of this programming directly from Lifetime and various TV Guide sources – but Lifetime is known to change their schedules from time to time – so I apologize for any inconvenience this may have caused you. And, I will do my best to try and keep it updated, if there are any more sudden changes. So... that’s the Christmas Movie News for today!!! I thought that was rather fun news from the Hallmark Channel – “Commercial Free Movies on Christmas Day”! Be sure to check out the Christmas TV Schedule for times airing! MERRY CHRISTMAS and God Bless Us, Everyone!!!! And Please Remember - these are All NEW - I have Not previewed them - so please check ratings, especially on Lifetime, before viewing!!! I'm thrilled for all of my friends who don't have cable and all of you AT&T Uverse subscribers, who don't get the Hallmark Channel - that you will be able to see the Hallmark Hall of Fame Movie on ABC this weekend!!! I look forward to reading your reviews - please Comment Below! Merry Christmas!!! 'Tis the Season to be Jolly!!! Christmas Movie Reviews and More! As I write, there are 20 Days until Christmas! To me, it is “The Most Wonderful Time of the Year” – and I do my very best to soak it all in.... all the sights and sounds... and Christmas Movies, too – old and new, and it is such a joy to share them with all of you! Over the weekend, our family attended our local Christmas Parade and Christmas Tree Lighting in the Courthouse Square... it was all Memorable and Beautiful... a cherished event and time... and I hope you and your family will have special moments like this, too! 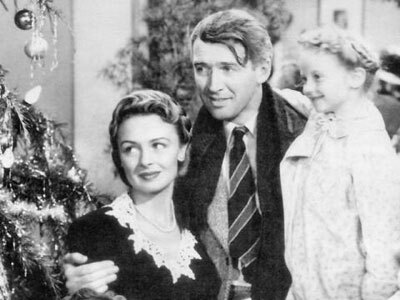 I had the opportunity to watch some of the new movies over the weekend, but nothing compared to watching “It’s a Wonderful Life” on Saturday night. It truly is the best Christmas Movie ever, in my opinion, and I get misty eyes every time I see George Bailey say – “I want to live again!” No other Christmas Movie could ever compare to this truly beautiful Christmas Classic. As for “A Bride for Christmas”... most of you thought it was kind of dull, boring, and predictable. I thought it was an okay romantic comedy, but not a Hallmark favorite for me. “A Star for Christmas” was liked by some, while others, including myself, thought it was terribly cheesy, immoral, unrealistic, and completely lacking. I highly suggest skipping this one! “A Christmas Wedding Date” was one of those movies where the characters must re-live Christmas Eve over and over again, until they get it right. 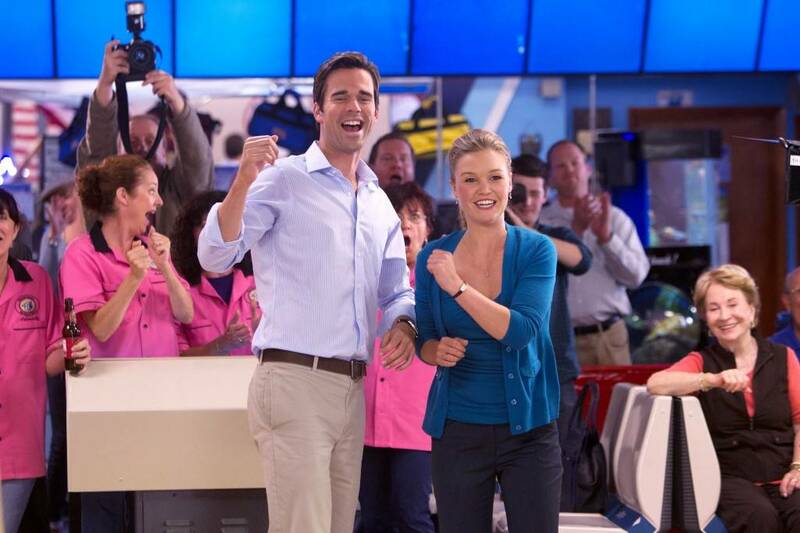 All in all, this romantic comedy was alright – just not very Christmassy! I didn’t get a chance to see “Christmas Heart”, but I’ve heard from several people who said it was very inspirational. I plan to watch it over the weekend, when the Hallmark Channel re-airs it. I saw bits and pieces of “A Fairly Odd Christmas”... and it did seem rather odd to me. Maybe some younger kids will like it; however, it just wasn’t for me. 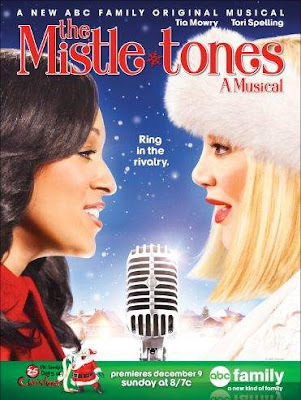 As for “Finding Mrs. Claus”, I haven’t seen this one, yet. If you have, please let me know what you thought of it. I will caution you; though, some of these New Lifetime Movies are not for young children – so please check ratings! I’ve also been busy updating the schedule with Christmas Movies, Cartoons, Music Specials, and more... ! Please, be sure to check the Christmas TV Schedule for your favorites!